Iran is holding back growth of its stockpile of 20-percent enriched uranium and converting some of it into research reactor fuel, Diplomats told Reuters today. Iran’s stock of medium-enriched 20-percent uranium gas is closely watched by Israel and the West. Israel has threatened to attack the country’s nuclear sites if Iran amasses enough of the material - a short technical step from weapons-grade - to make a bomb. Iran began producing 20-percent enriched uranium in 2010, and has reportedly produced 240-250 kg, which is normally needed for one nuclear weapon. But by converting some of the enriched uranium into reactor fuel, an irreversible step, Iran has kept the volume of medium enriched uranium below the so-called “red line” level. First of all, there's no such thing as "medium enriched uranium." The technical classification for below 20% is Low-Enriched Uranium (LEU). 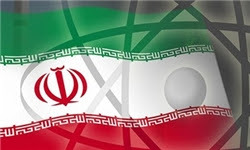 Iran has stated all along it is enriching to near 20% LEU for the production of fuel rods, as they are being barred from purchasing fuel rods from the global marketplace. When the Iranians, true to their word, process their stock into fuel rods, we're told they are "limiting" their stock? As if externally applied pressure is forcing them to do so? That's inaccurate. The Iranians are open about their ambitions with their civilian nuclear program. So the "surprises" we read about in sources such as newswires shouldn't really be considered surprises to seasoned observers. Very important related reading of recent material: interview of Iran's newly confirmed foreign minister Zarif, and interview of COL Wilkerson U.S Army (ret) available HERE. It is time the US, which is sad euphemism for the "west" dancing to the Zionist tune accept Iran as a nuclear power and negotiate on a wide range of issues that have been festering since 1953 as the CIA acknowledged the other day. The Iranian nuclear "issue" is rather moot now anyway and simply can not be rolled back. If "israel" has threatened to attack the country's nuclear sites, which amounts to the threats of genocide against Iranian population, why doesn't the author condemn that threat; and where, on the other hand, he used to condemn statements of the Islamic Republic's leadership related to the Iranian warnings to enemies about its (legitimate) retaliations to any enymy's aggressions. That Zionist threat to attack Iranian (peaceful) nuclear sites may cause a release of radioactive substances into the air and to affect Iranian population. Therefore that kind of threats and actions amounts to threats of genocide...and the author somehow so far, is avoiding to express his position on that issue, but he is fast and keen to repeatedly condemn Dr. Ahmadinejad's rhetorics...which should be carefully analyzed before any hasty conclussions. The Zionists are all bark and have major problems on their land squatting hands as Egypt and the Arab world is imploding as the Jihadis will eventually target them. The Saudis and the petro-pimps have unleashed forces that will consume them. It is in the US best interest to cut a deal with Iran and normalize relations as there is NO OTHER OPTION LEFT. That is the reason they are sending Qaboos to check out how serious Iran is ? The Israhelli threats to attack Iran's nuclear sites if the US doesn't is the sickest/dumbest joke of the century. Even the US doesn't go that far in their bogus threats. This apartheid regime, living on stolen land and on borrowed time has been perpetuating this "somebody hold me now or else" bs for so long that not even their so-called allies take them seriously anymore. They attribute any Iranian shift as having to do with their pathetic threats to attack. They even attribute the election of Ruhani as a sign of their threats forcing Iranians to elect a "moderate" - kid you not!!! Very soon, they'll be claiming people shopping on the streets of Tehran is due to their lousy threats. Iran doesn't even factor in this peep-squeak racist state as defence priority. But who can blame them?? Years of murdering Palestinians from 1000s of feet in the air has created this sense of "invincibility". I'll celebrate the day these a*sholes make the fatal mistake of carrying out their threats against Iran. Just one "strike" (whatever that mean) will be enough excuse for Iran to put them out of their miserable thieving lives. Some of the commentators here have taken issue with the report by Reuters that Iran has limited its inventory of 20-percent enriched uranium to below the amount needed for a nuclear weapon, by converting the excess stockpile into reactor fuel. I don’t understand why they believe that the report is not correct. The reality is that the Iranian leadership has made the decision not to provide excuses for the start of a military conflict over nuclear issue. Nothing’s wrong with that strategy, and indeed should be supported by everyone. Congratulations for your very good conclusions, that they have unleashed forces that will consume them (in the future); like it is in an old proverb related to the Pandora box. Their training of Osama bin Laden, should be an reminder and example as well as a warning for them ...if they don't want to follow a common logics. Regarding Qaboos' mission, the Supreme Leader have stated that any expectation from the US have to be based on a change of the US behavior, which have to follow the logic and respect of the Islamic Republic. The issue is the Zionists goading the bankrupt US into a final swan song war as even acknowledged in an article in the extreme right-wing Washington Times today. WASHINGTON, July 17, 2013 — Contrary to dominant thinking in Washington, Iran poses no immediate threat to the U.S. In fact, our Middle Eastern allies (Saudi Arabia and Israel), eager to have America do their fighting for them, wildly inflate the supposed threat from Iran. The U.S. is a global military superpower that spends more on defense than the rest of the world combined. Iran, by contrast, is a third-rate military power with an economy that is one forty-fifth the size of the U.S. economy. This is hardly a formidable threat. The recent election of Iran’s new president, Hassan Rouhani, has been called “a major potential opportunity” to revive diplomacy and “resolve” longstanding tensions. Unfortunately, America’s purported friends don’t want rapprochement. The U.S. has built up various alliances in the Middle East since WWII in order to fulfill a larger strategy of controlling the flow of oil and preventing the emergence of another power in the region that would threaten U.S. dominance. In the course of building these alliances, Washington has signed security agreements with these countries, promising to subsidize their militaries and come to their defense. In essence, this makes their problems our problems. Our closest allies in the region, Israel and the Arab Gulf states, hate Iran for a variety of strategic, cultural, religious, and ideological reasons. As a result, they have hyped the threat of Iran and frightened Americans into thinking the Islamic Republic poses an existential threat to America. And Israel isn’t the only U.S. ally hyping the Iranian threat. As revealed by classified State Department cables leaked to WikiLeaks, the Saudi King “has repeatedly urged the United States to attack Iran’s nuclear program,” at one time even advising the U.S. to “cut the head off the snake,” a comment many considered to be an ill-concealed metaphor for regime change. Saudi Arabia’s gripe with Iran is different than Israel’s. The Saudi regime, along with their counterparts in the other Sunni Arab Gulf states, are wary of the Shiite Persian Iran because it represents a check on their geo-political dominance in the region. But like Israel, America’s Arab allies are trying to get Washington to foot the bill for their own militaristic agendas. A U.S. war with Iran would not only be unnecessary and illegal; it’s contrary to America’s interests and would destabilize the entire region. After a decade of disastrous wars in Iraq and Afghanistan and strategic failure throughout the Middle East, not to mention the powder keg of the sectarian civil war in Syria, the U.S. would have to be deranged to take the advice of its Middle Eastern allies and launch a war on Iran. The U.S. doesn’t need to continue to militarily defend nefarious Arab dictatorships and an Israeli state prone to war. We should relinquish our imperial control over the oil-rich Middle East and save ourselves the trouble of getting goaded into one unnecessary war after another. There we go again. Iran’s sensible policy of not crossing the “red line” is not discussed, but what is discussed is why we should not talk about it because it will give the impression that Iran does not want to pick a fight with the West. Well, that’s exactly the intended purpose of the policy! Yes, the famous "red line"! The one that comes with a cartoon bomb. And whose red line is this? Non other than the international laughing stock himself, nutty nutanyahoo. Nader, do you really expect the Iranian government to take that seriously? Lol. So are you telling us that the volume of the 20-percent enriched uranium remaining just under the amount needed to make a weapon is by accident? I think not! Nader taking nutty nutanyahoo's so called "red line" seriously?! Wow.